Sebring, FL. –In Highlands County, Florida, power is slowing being restored but for many it’s been five days in the sweltering heat with no air conditioning, no water and no ice. As if that wasn’t enough, many businesses have not reopened and hourly workers have no new income. Melissa Gage is one of those workers. “Out of power since Sunday, it just seems like it keeps getting hotter,” said Gage. “My paycheck ran out so we are here for a meal and some water. Gage picked up six hot meals for her family just like several hundred other local residents in and around Sebring. 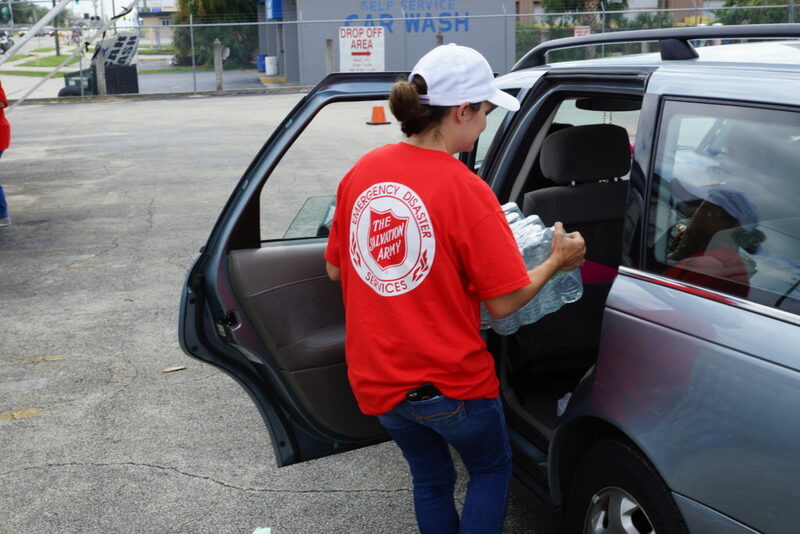 The Salvation Army will top ten thousand meals served in Highlands County on their fifth day of service. Ashley Ivey and her husband have two young girls. It’s been hard for them as well without power. “They told us it would be Tuesday by midnight(for power to be restored),” said Ivey. “But our daughters have suffered heat exhaustion, they’re allergic to mosquitos too so it’s difficult right now. For many, the sooner the power can be restored, the better. The Salvation Army will remain in place to fill any needs for several days once the power does return.